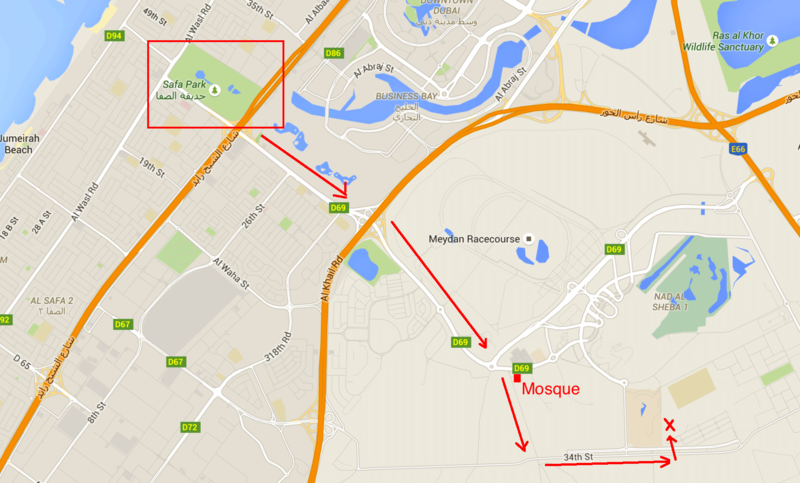 From Al Wasl Road: Heading towards Dubai, turn right onto Hadiqa Street at Al-Wasl Square, with Safa Park on your left. Carry on over Sheik Zayed road and keep going over Al-Khail Road. After about 2km go straight on at the R/A and then after about 1km go straight on at the next R/A. After about 400m, turn right just before the mosque onto a road marked “Private Access.” Carry straight on down this road to the crossroads then turn left. After about 1.5km, the OnOn should be marked on the left, just before you reach the new Emirates villas.